Native American tribal lands are not held to the same standards as state and even federal lands, but are they permissible to grow marijuana? According to reports, the first tribally-sanctioned marijuana cultivation operation in Northern California, and perhaps the nation, was announced this month. This follows the Obama administration’s new permissive policy concerning marijuana grow operations on tribal lands, announced in December. The U.S. Justice Department publicized an internal memo instructing U.S. attorneys not to intervene with tribes that want to grow and sell marijuana on sovereign lands. To prevent federal intervention, tribes are required to maintain “robust and effective regulatory systems.” In effect, the policy is similar to the guidelines that preempt federal intervention where states have legalized marijuana for medicinal purposes or recreational use. According to analysts the memo could have significant impact on tribes that choose to pursue marijuana growing operations and sales. Some opine marijuana could replace casinos as a primary source of revenue on tribal lands. As many tribes are opposed to legalizing pot on their lands, the federal government has also agreed to continue to enforce anti-marijuana legislation if requested by the tribe. While the memo does open the door for potential cultivation and sale of marijuana, it is not exactly like the “Cole Memorandum,” which was issued in August 2013 related to state law. The memo continues to remind tribes and states the drug is still illegal under federal law. According to the memo, the federal government still maintains the authority to enforce anti-marijuana policies in Native American territory. The memo articulates the new position, namely that the federal government isn’t likely to interfere with tribes or stats that allow growing or selling marijuana so long as the operators follow the priorities set forth by the Justice Department. The Justice Department has articulated eight priorities to prevent intervention. 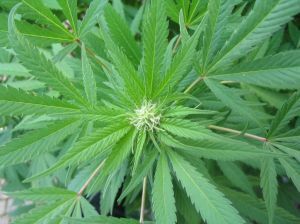 Regulatory policies must, 1) prevent sale of marijuana to minors, 2) prevent revenue from supporting criminal enterprises, 3) prevent the diversion of marijuana to states where it is illegal, 4) prevent state authorized activity from being a cover for trafficking other illegal drugs or illegal activity, 5) prevent violence and use of firearms in association with cultivation and distribution, 6) prevent driving under the influence of marijuana and other public health consequences, 7) prevent growing on public lands and manage the environmental dangers posed by production, 8) prevent possession or use of marijuana on federal property. Changes in federal policies on tribal lands could open the door for cultivation on tribal lands throughout California. To ensure compliance, tribal leaders as well as distributors should consult with an experienced legal advocate. Our Orange County marijuana dispensary attorneys are experienced with all aspects of state and federal marijuana law. We can help review policies and procedures to ensure compliance and represent individuals and entities in the face of criminal investigations or charges. Despite the change in policy, tribes are expected to have very different approaches to marijuana growing operations and enforcement priorities will vary.